Ursodiol is a hydrophilic bile acid that occurs naturally in the body. It is used in the treatment of liver diseases such as chronic hepatitis, primary sclerosing cholangitis, and non-alcoholic fatty liver disease. It is also a common prescription as a gallstone dissolving agent. It was designed to help people with liver issues and MedicineNet has a detailed overview of how ursodiol works in the human body. In veterinary medicine, the Veterinary Manual recommends this medication to both dogs and cats to treat an array of gallbladder and liver conditions which include gallstones containing cholesterol, juvenile fibrosing liver disease, chronic hepatitis, and congenital portosystemic shunts. 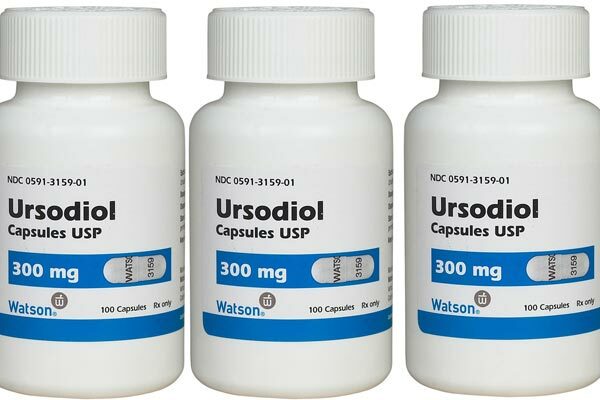 Ursodiol is sold under the trade names Urso and Actigall and is typically administered in the form of tablets orally. This guide aims to let tell you everything you need to know about ursodiol as a medication for your dogs. Today, one of the more common health and wellness discussions is about how to regulate our cholesterol levels. Nevertheless, do you know that high cholesterol levels could be a problem for your dog too? High cholesterol levels directly affect two of the most primary organs; the liver and the gallbladder. As such, a medicine that has been used to regulate high cholesterol levels in humans is being successfully used to treat the same in dogs plus other gallbladder and liver issues. That drug is ursodiol. Your dog’s gallbladder is just as important to the canine as it is to you; it plays a vital role in food processing, digestion, and filtration. As such, dogs are also susceptible to high cholesterol levels. Additionally, your canine’s gallbladder is even less equipped to handle these processes naturally. In fact, this is why you should avoid feeding your canine friend spicy, fatty, and other foods meant for human enjoyment. In addition to controlling cholesterol, ursodiol is also a treatment option for other liver and gallbladder issues in dogs. To understand what this drug does for your dog, we first need to understand the functions of the liver and gallbladder in your dog. These two organs are located in your canine’s abdomen. And not only are they physically connected, they are also functionally linked. Among its myriad of functions, one of the liver’s primary roles is to produce bile which is then stored and concentrated in the gallbladder. Therefore, this means that the gallbladder is very actively involved in the digestion process during which food is broken down, processed, and some converted to energy while the remaining is excreted as waste. The gallbladder does its job by releasing bile into the small intestine where food becomes broken down further so that nutrients can be absorbed while the rest is eliminated. However, your dog’s gallbladder and liver are not able to effectively process or handle cholesterol. Therefore, should a malfunction, blockage, or ailment arise that affects the functionality of either organ, the implications could prove fatal? We have covered that a malfunctioning liver or gallbladder could result in potentially deadly consequences. As such, it is only wise to understand the causes and effects of these issues. Hepatitis refers to the inflammation of the liver. Therefore, chronic hepatitis implies that the liver inflammation has been affecting your dog for a long period. So, what causes this inflammation? Chronic hepatitis is a liver condition that a lot of times, has nothing to do with exercise and diet. It is typically inherited or genetic; Doberman Pinschers, Cocker spaniels, West Highland White Terriers, and Standard Poodles are among some of the more popular breeds that tend to have a higher susceptibility to this liver disease. This condition can also result from ingesting toxins that may have an adverse reaction in the liver. Additionally, there is infectious hepatitis which is caused by bacteria and can be transmitted from canine to canine. If not treated, this disease can become chronic. Autoimmune disease is another major cause of chronic hepatitis in dogs. Here, your dog’s compromised immune system begins to attack the liver. The saddest thing about chronic hepatitis in canines is, even though the liver is characteristically resilient, after a long time of inflammation, scar tissue eventually builds up. This may lead to blockages which interrupt the organ’s function. Sustained liver inflammation eventually causes cirrhosis in your dog. These are small formations that are incredibly painful. They comprise of cholesterol and bilirubin that has lingered in the gallbladder. The stones interrupt the normal inward and outward flow of bile in the gallbladder. Additionally, they may get lodged in the bile duct that bridges the gap between the small intestine and liver or just remain in the gallbladder. The factors that cause gallstones in dogs include gallbladder infections, excess cholesterol, or thick bile. The cirrhosis or scarring that we discussed earlier could, over time, result in the diversion of the normal path followed by blood in the dog’s liver. Nevertheless, sometimes, these misdirected blood vessels could be as a result of genetic or hereditary issues. Remember, one of the liver’s primary functions is to filter out waste, and thus, it requires a regular supply of fresh blood. If there are liver shunts preventing the liver from carrying out this function, toxin buildup is inevitable. This is what leads to inflammations that cause gallstones and hepatitis. So, how can ursodiol help with all this? Ursodiol refers to an acid that occurs naturally in your dog’s body. Today, it is a supplement that can be ingested by your pet to help with their liver function. As we have seen, the liver is one of the core organs in the body as it is responsible for detoxification. It accomplishes this feat through synthesizing and breaking down various chemicals. As such, if for some reason your canine friend cannot do this properly, it may be time to consider an ursodiol supplement. This is a naturally occurring biliary substance. The acid is part of the various components that make up bile. Ursodiol, in particular, is what helps protect the liver from damage from the bile that it produces. Therefore, as ursodiol performs this function, it prevents the liver from absorbing cholesterol as well as other bile salts. Consequently, if the levels of ursodiol are not at an optimum in your dog’s liver and bloodstream, they stand to suffer from degenerative and prolonged liver damage. Ursodiol is found in two brand formulations: Urso and Actigall. These drugs were originally designed and meant for humans. However, they can also help your canine. But only a veterinarian can prescribe them for your pet and it is imperative that you first see your pet before taking any measure. They will examine the dog so that they can give the correct diagnosis and prescription. 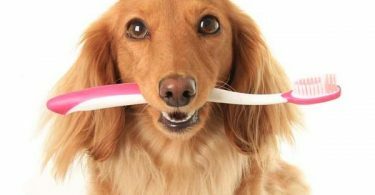 Additionally, you must work closely with the vet throughout the entire period your canine friend is taking their ursodiol medication. As we have already covered, the liver produces bile which is then transported to the gallbladder where it is released in the small intestine to aid in digestion. Therefore, if your pet’s liver doesn’t function well, the acid from his bile will accumulate in the liver thereby causing liver damage. Ursodiol works by improving the flow of bile juice thus aiding in the removal of toxic bile acids. Additionally, gallstones comprise of cholesterol and because ursodiol inhibits the synthesis and uptake of cholesterol, vets use it to dissolve gallstones in dogs. In fact, the Canine Liver Disease Foundation states that ursodiol is one of the most essential treatments for liver treatment in dogs. Before you give ursodiol to your dog, ensure that your vet is aware of it and recommends it. If so, the typical dosage of ursodiol that is given to dogs is 2.5 – 3.4 mg/lb. given with their meals every 12 hours for cystic fibrosis, primary biliary cirrhosis, and chronic hepatitis. How do you give this medicine? Do not administer more than has been prescribed all for longer than has been prescribed. Do not use the drug on pregnant or nursing dogs; first, seek a vet’s advice. Also, let the vet know of any other medication or supplements that your dog could be using especially aluminum antacids such as Gaviscon or estrogens. Also, remember that it helps protect the liver from various toxic substances such as deoxycholate. Let your vet know of any side effects that you observe. Additionally, routine blood tests are crucial for picking up on any changes in liver function. Overdoses will typically cause diarrhea. Even so, they rarely result in emergencies. In spite of this, if you accidentally give them an overdose, ensure that you see a pet poison or vet immediately. Treating an overdose might involve the use of aluminum antacids to decrease absorption, emptying the stop or using activated charcoal. What Happens When You Miss a Dose? Make sure that you give it as soon as you can. However, if the next dose is nearer, skip the missed dose and proceed with the regular schedule. Do not give your dog two doses at the same time. How Should You Store the Ursodiol? Do not store it in damp places such as near the kitchen sink or in the bathroom. Also, do not put it near direct sunlight or hot places. This is because it may break down if exposed to moisture or heat. This drug and supplemented was initially known as the ursodeoxycholic acid and has been used for centuries to treat liver ailments. According to the National Center for Biotechnological Information, ursodiol was formally harvested from the Chinese black bear. However, before you throw a fit, you will be glad to know that it is now produced in labs and the Chinese black bear is safe from our prying hands. This medicine is commonly prescribed by vets when treating gallstones and liver problems. This YouTube video gives detailed insight into ursodiol works. It should prove invaluable in helping you understand this drug better. Ursodiol is used to restore healthy liver function. 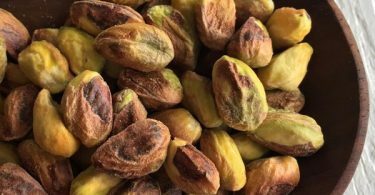 It does this by enhancing the flow of bile into the gallbladder and improving the flow of bile from this organ and into the small intestine. Additionally, it lessens the amount of cholesterol that is produced in the liver as well as that which is absorbed from food. Ursodiol is also effective at dissolving and preventing gallstones while preventing the buildup of toxic substances such as bile acids. Even though ursodiol has proved itself to be effective in the treatment of gallbladder and liver issues in dogs, it is important to remember that it is not FDA approved. The reason could be because it is designed for humans. Nonetheless, our organs serve the same purpose as those of other animals and this is why this drug is effective in treating these issues. Additionally, your dog’s gallbladder is not as efficient as ours when it comes to processing certain types of foods. This is why you should avoid giving them spicy or fatty acids. Avoiding the liver and gallbladder issues in the first place should be your priority. Therefore, giving your canine buddy ursodiol supplements shall greatly with their liver processes. Ensure you talk to your vet before you give them this drug.